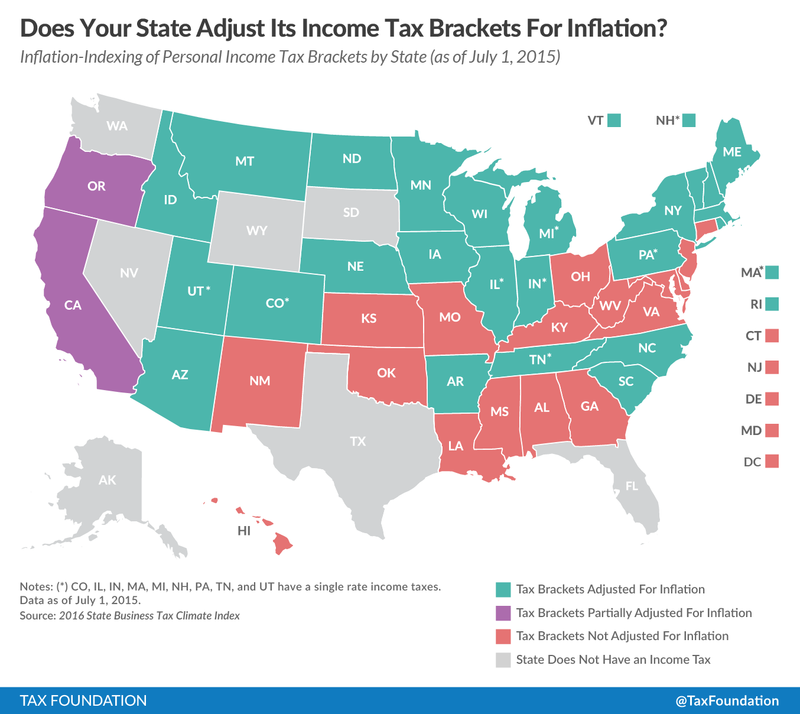 Home » What’s News » 50-State Tax Maps » Do We Adjust Our Income Tax Brackets for Inflation? When tax brackets aren’t indexed for inflation, it results in what economists call “bracket creep.” Higher income can bump a taxpayer into the next tax bracket, even if that higher income is merely keeping pace with inflation. A lack of inflation adjustment can also push more of a taxpayer’s income into the highest bracket for which they qualify. The final result is a tax increase that occurs without any legislation being passed. Indexing addresses this by altering each bracket level each year by the level of annual inflation. Take a single individual who earns $40,000. Currently, that person takes a standard deduction of $3,000 and a personal exemption of $930, leaving $36,070 as taxable income. After applying the tax table, he would owe $1,816 in state income tax. If the taxpayer gets a 2 percent raise next year because of inflation, his income rises to $40,800 and his tax bill rises to $1,863. Because Virginia doesn’t index its tax brackets, its standard deduction, or its personal exemption, this tax bill is a 2.53 percent increase over the previous year. An inflation-indexed code would only raise his income tax liability by 2 percent—which is not a hike at all in real terms. 17 states plus D.C. with multiple brackets do not index at all. 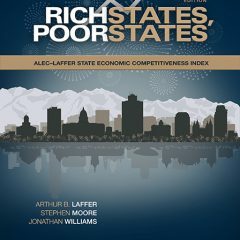 Also important, but not pictured in the map are details about which states inflation-index their standard deductions and personal exemptions. For a list of these, see page 73 of our 2016 State Business Tax Climate Index. What’s the Real Value of $100 in Various Metro Areas? Please read our previous coverage: We’ve Been Bracket Creeped!